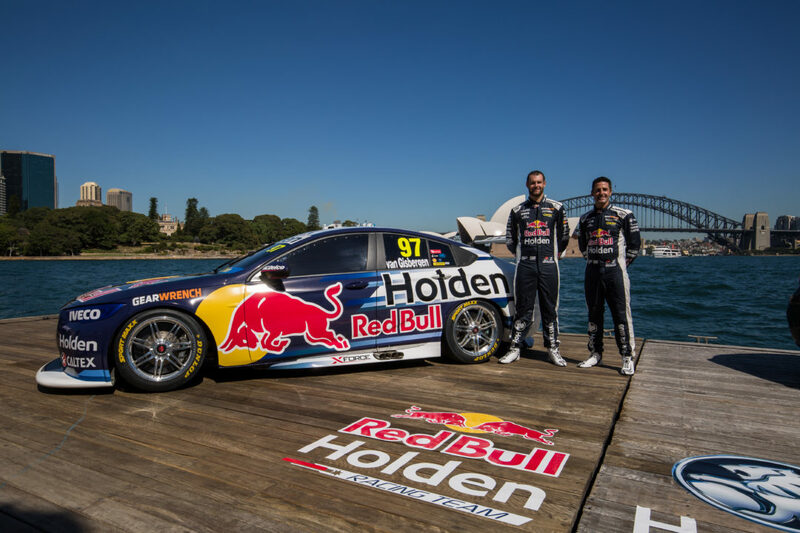 The Red Bull Holden Racing Team has unveiled the colours it will carry on the new ZB Commodore in the 2018 Virgin Australia Supercars Championship. Roland Dane’s Triple Eight has been responsible for the development of the new model, which is the first Commodore manufactured outside of Australia and the nameplate’s first hatchback while also being the first model entered in line with Supercars' Gen2 Platform. The ZB broke cover in September, with damage sustained in straightline airfield running delaying its first test at Queensland Raceway to the middle of November, before last-month’s aero homologation testing. 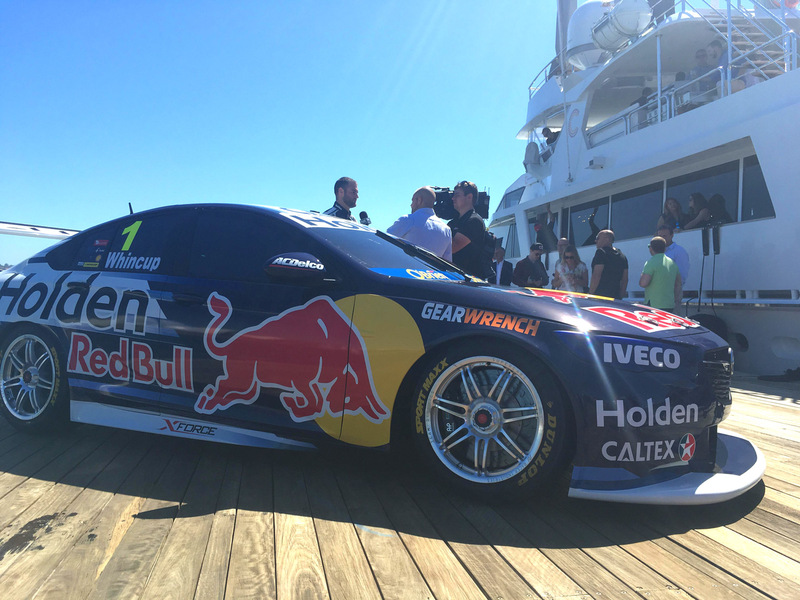 Jamie Whincup, who won his seventh title last year, and Shane van Gisbergen launched their new livery in an off-shore event in Sydney Harbour on Friday morning. 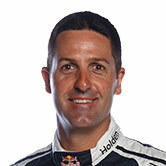 Whincup will run #1 again on his Commodore, and has signed a contract extension through to the end of the 2019 season. “In my world, I consider today a very big deal,” he said. 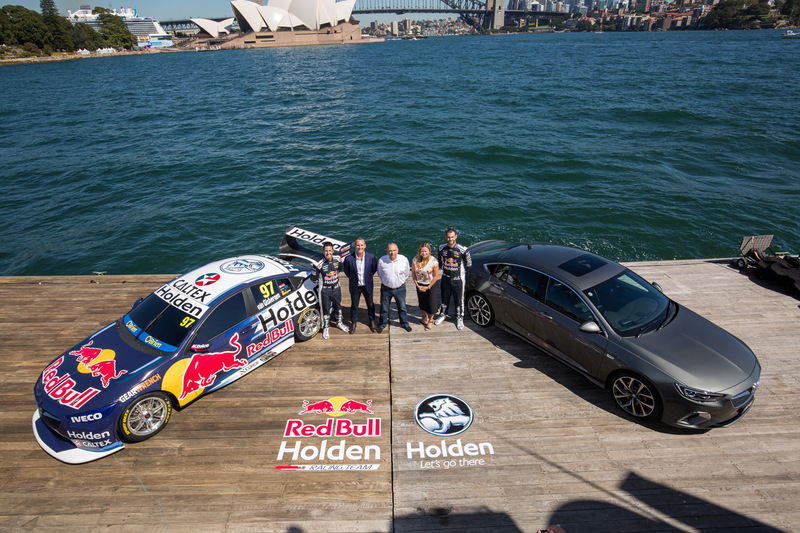 “We’re not only showing our supporters our 2018 livery, we’re unveiling the new-look, next-generation Commodore Supercar. “It’s pretty special to be able to do that in this incredible setting. “We’ve decided to really change it up with the colour scheme this year, which looks awesome on the new body shape. 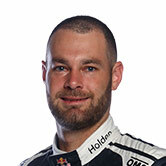 Van Gisbergen enters his third season with Triple Eight, having won the title in his first campaign in 2016 before finishing fourth last year. 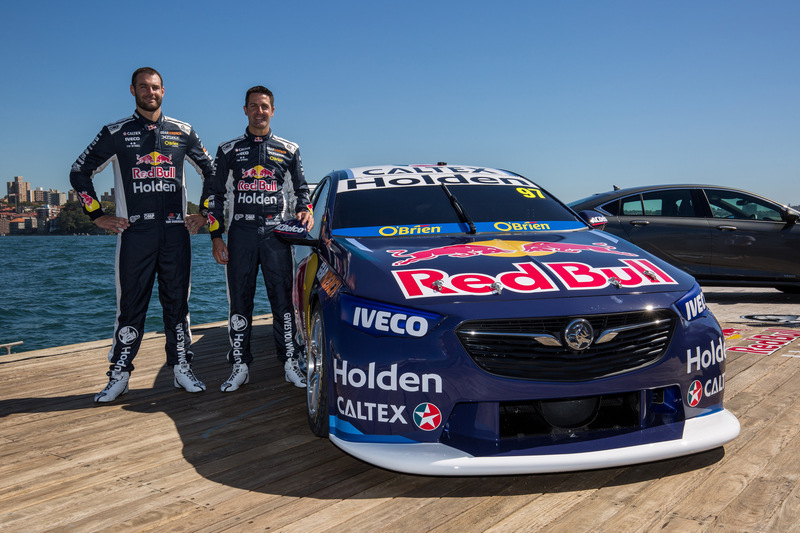 “I’m really looking forward to getting back racing this year, especially with the brand new body shell on the 2018 Commodore,” the New Zealander said. “The guys and girls at Triple Eight have been working crazy hard to get our cars ready for the season, so hopefully we can do them and the Commodore nameplate proud this year. The team will test its new Commodores one week before the full-field Supercars pre-season session at Sydney Motorsport Park on February 16. General Motors Holden design manager Peter Hughes describes the revamped livery as “fresh, daring and definitely different. “The next generation livery is dominated by a completely dark blue front, fading to completely white rear and should be unmistakable on track,” Hughes said. “Graphics front and rear have been kept to a minimum, showcasing and highlighting the elegant lines of the new Commodore. “Funky, bold slashes help connect the aggressive blue front to simple and bold white rear, where Holden’s signature nameplate is now vibrant black on white in keeping with our new corporate direction. The new Commodore will ultimately be paired with a V6 turbo engine that Triple Eight is also developing and set to race as a wildcard at selected events including Bathurst this year. With every Holden outfit moving on from the VF, a total of 14 ZBs will be on the grid for the Adelaide 500 with a combination of new and re-bodied chassis. Preston Hire Racing became the first squad to release a ZB livery last week, with Lee Holdsworth’s 2018 colours. 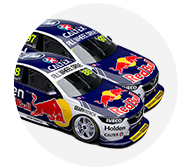 The livery for Craig Lowndes’ Triple Eight entry, with the new Autobarn Lowndes Racing identity this year, will be launched on January 31.